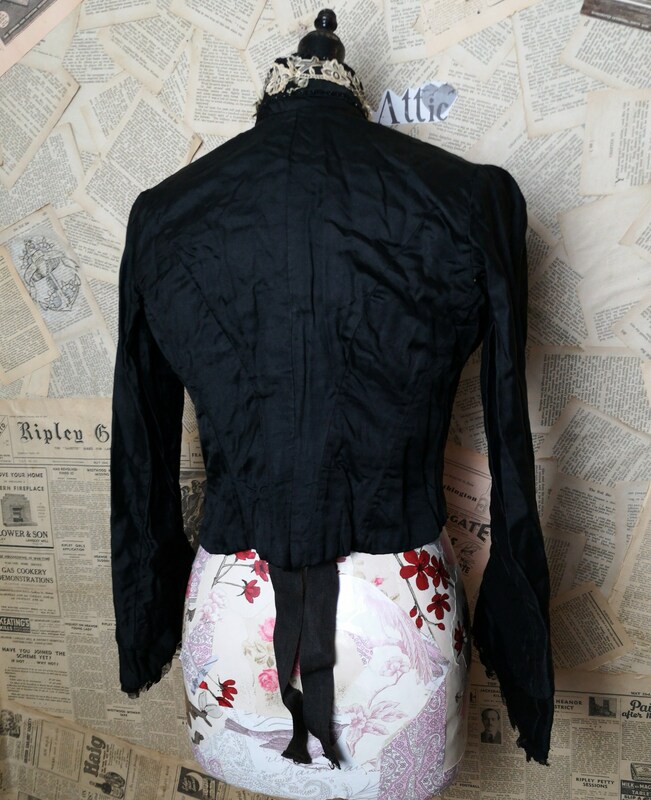 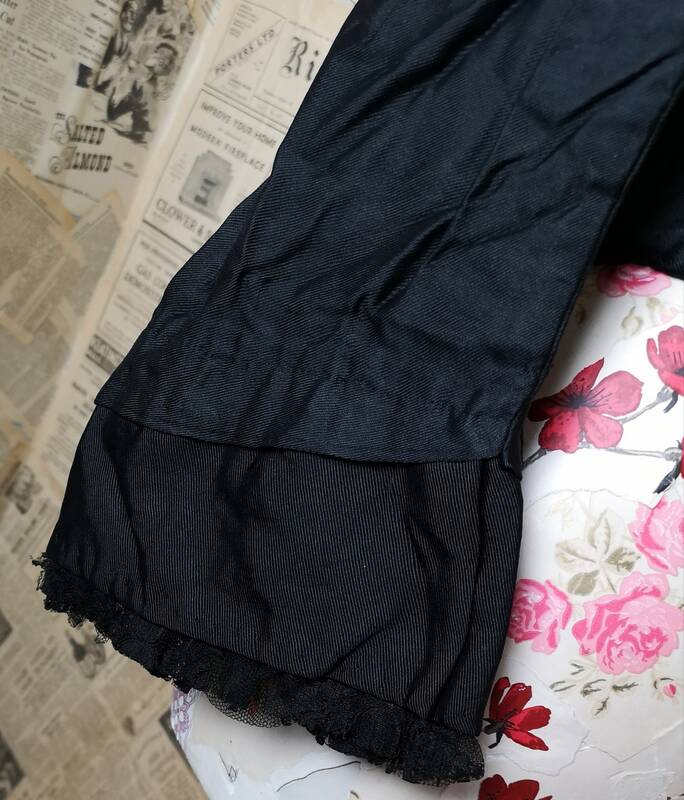 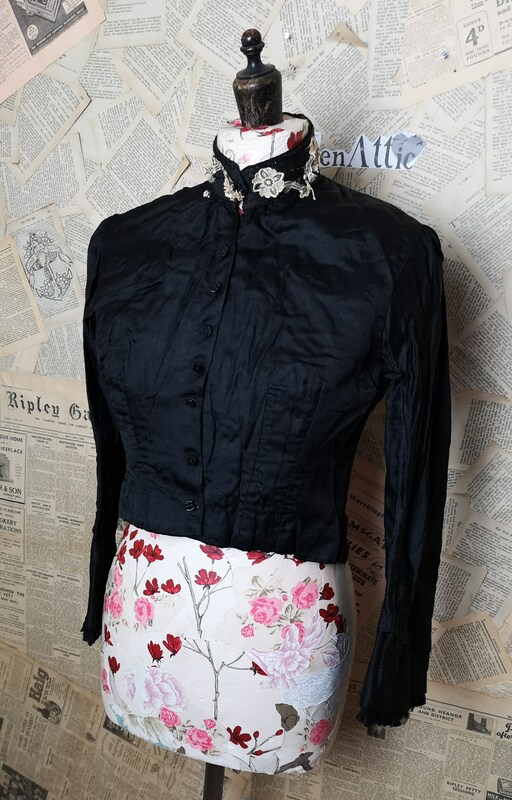 A very pretty mid Victorian black silk mourning blouse, it has a small high neck collar trimmed with delicate cotton lace applique of floral design. 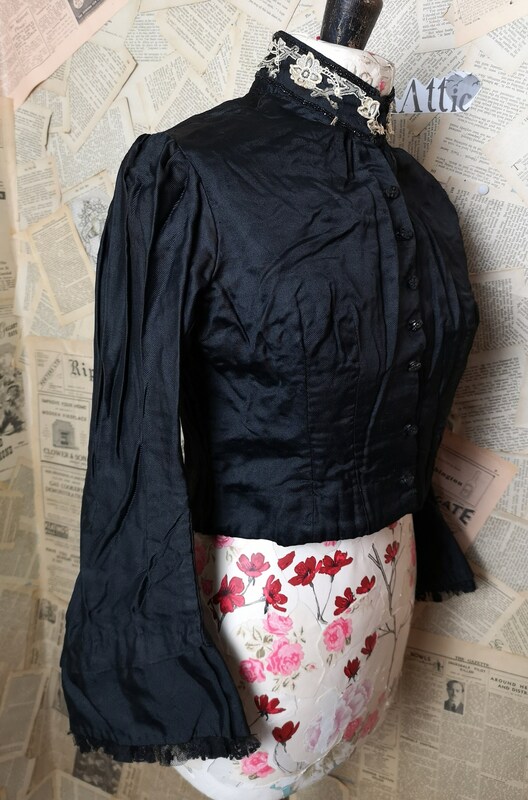 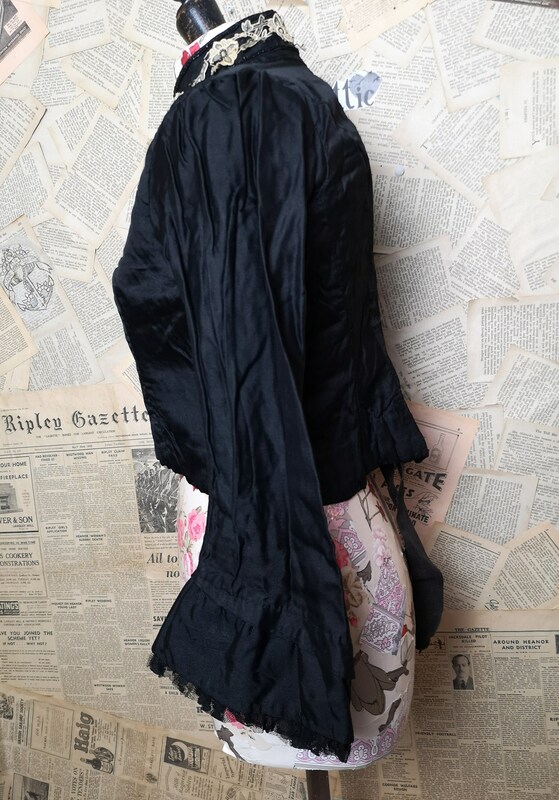 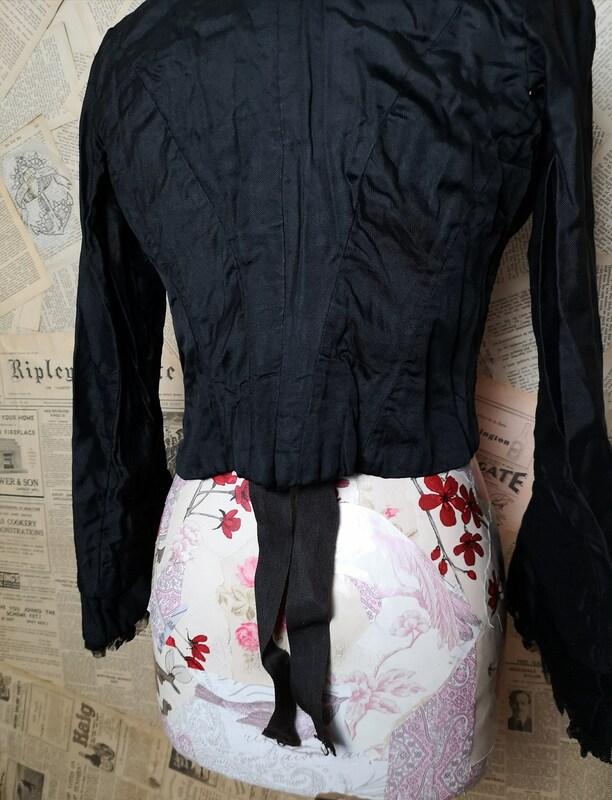 The waistline is high and the blouse is very fitted at the waist, it has a button down front with French jet carved buttons, all original to the blouse, there is a tie inside which fits around the waist. 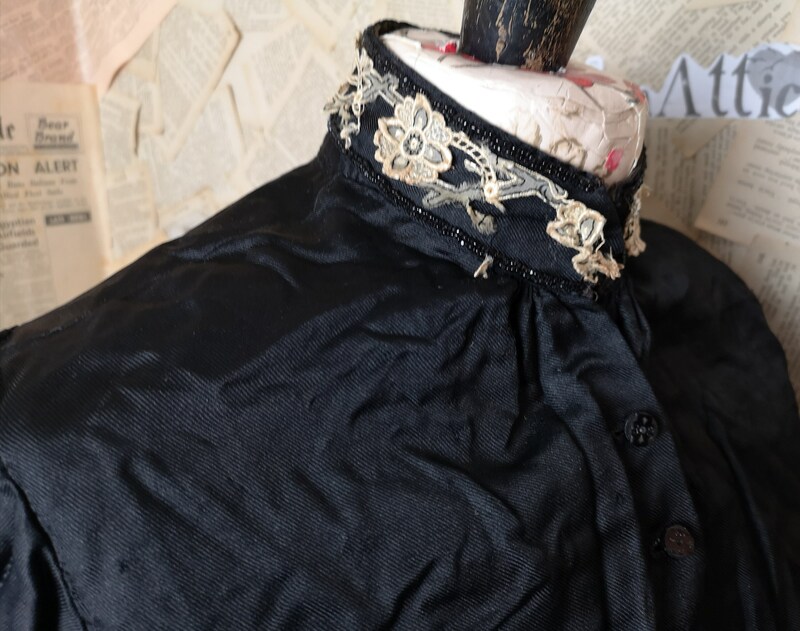 The shoulders are sloping and go down into the most tremendous flared bell sleeves, the cuffs trimmed with a band of black lace. 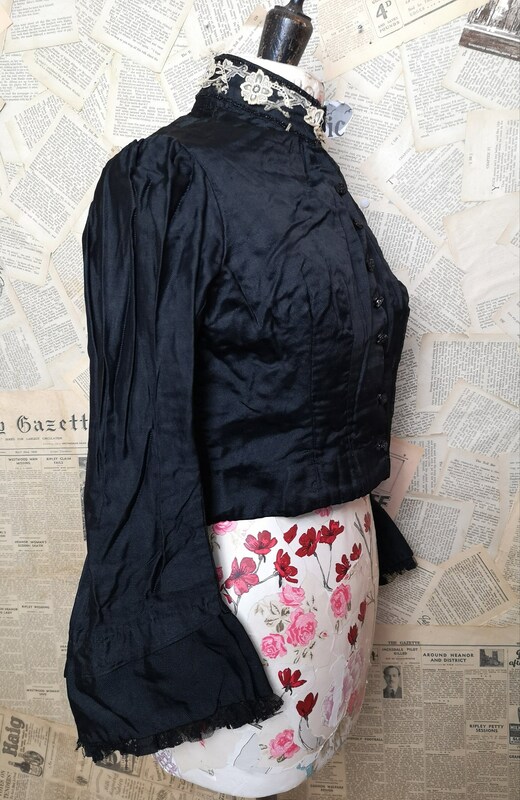 Inside the blouse is lined with a beige and ochre coloured cotton which depicts sentimental forget me not flowers. 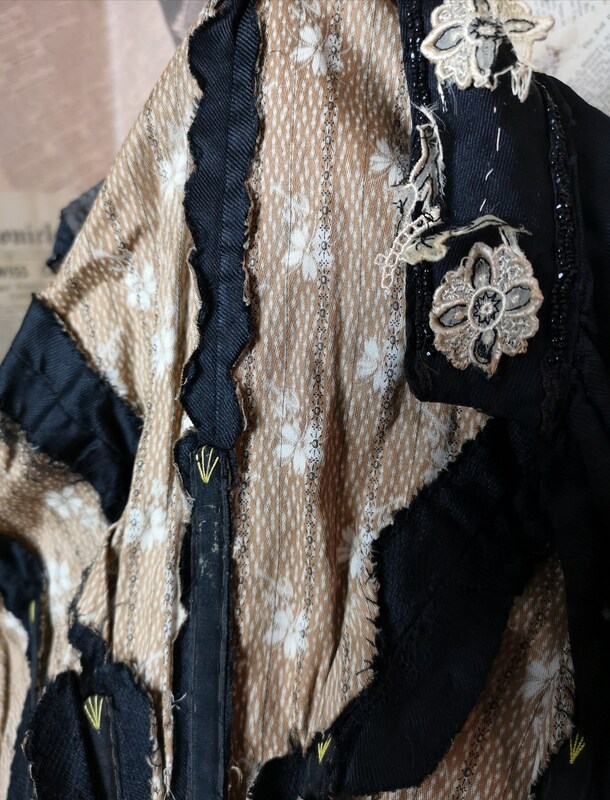 The condition for its age is good, it has been well kept, some of the delicate lace trim on the collar is coming away a little. 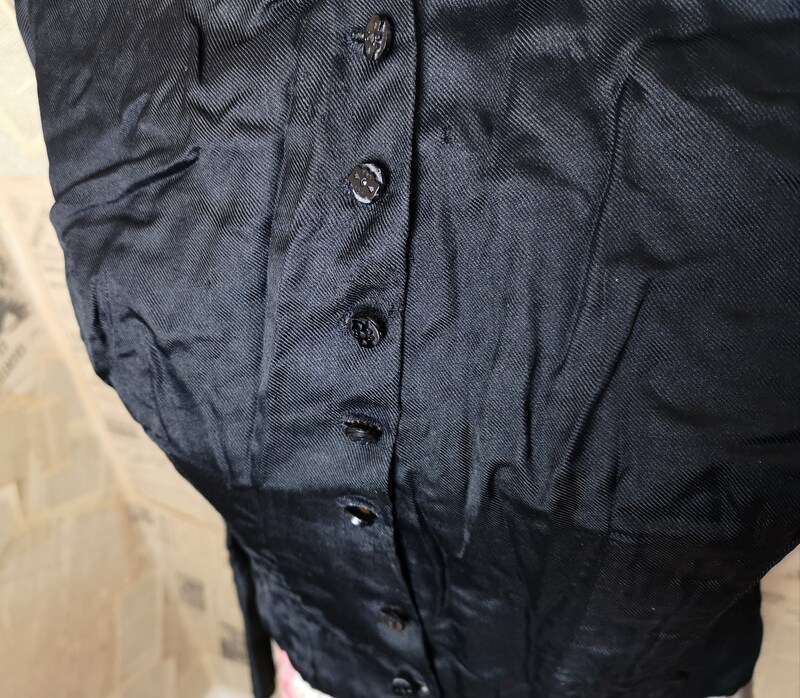 Measurements are approximate, the garment was made to measure, English make c1860's, a nice find and more than wearable.